iPhone cameras have become so advanced that you don't even need to carry your regular camera wherever you go. You know that no matter what, you have your iPhone with you so you can capture any moment worth remembering, whenever and wherever. However, organizing, tagging and sharing photos can sometimes prove to be a real hassle. Especially if you're the type of person who loves to take a picture every time you see something that catches your eye. But there's no need to worry about all these things. Because there are at least 4 apps that will make the task as easy as it gets. 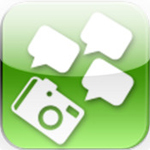 PHOG PHOG is an extremely easy to use and intuitive app that helps you organize, tag, protect and share your photos. Once you let it use your location, it automatically organizes all the photos in your Photo Library according to date. So, seconds after you turn it on, you have your photos better organized for you to easily find them. But, for an even better storage, you can also tag your photos. You can either tag them individually, or multi-tag them, by selecting as many pictures as you like and simply adding the tag you want. Then, you can see all your photos arranged by tag, or search for a picture by its tag. Plus, PHOG PHOG allows you to protect your photos by locking them. All you need to do is set a password and lock the photos you want to keep private. They will be automatically moved to a locked folder that you can unlock using the code you chose. You can share your photos via Facebook, Twitter or other apps. Check out the in-app graph showing you the number of pictures taken on the same month or sharing the same tag. And enjoy all that PHOG PHOG has to offer. If you love to tag and share your photos via all sorts of social networks, then OhMyPic Photo Tagger is just the app you need. OhMyPic is not as focused on organizing your pictures on your device, as PHOG PHOG is. This app is all about making your photos more pretty or funny, and easily share them on a single or multiple social networks at once. Just select a photo from your Photo Library, or take a new picture. Tag every person in your photo with a single tap, and a funny bubble with their tag will pop out on the screen. Move it wherever you want, change the background and text color, the tag style, the font...pretty much whatever you want to make your tag as fun or special as you want it to be. And to make your photo even funnier, add all sorts of background images the app has to offer. When you're all done, save your picture, and share it on Twitter, Facebook, Flickr, Tumblr, Mixi and/or Email. It has never been easier to tag, pretty up and share you pictures as it is with OhMyPic Photo Tagger. "A Picture is worth 1000 words." That's what must have inspired the creators of Relive when making this app. 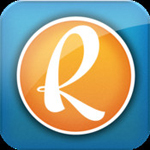 Relive is a photo organizing, tagging and sharing app, its main focus being to bring all your pictures together, helping you relive events and stories throughout these pictures. When you turn on the app, connect to Facebook and easily transfer all your photos to Relive. Copy all your photos from your iPhone's Photo Library. And, if you want to gather all your pictures together, install Relive on your computer and iPad to connect and sync all the pictures on your devices. Once you have all your pictures in one place, they will be organized according to the device they were originally stored on, and by date. Now, the whole magic behind Relieve is when creating events or sharing your pictures. You can share any picture on Email and Facebook simultaneously, along with a message containing the story of the picture. You can share any event you create with your friends and, by giving them a code, you can allow them to add pictures to the album of your event. This way, Relieve really stores all your pictures in one place, keeping all those precious memories at your fingertips. 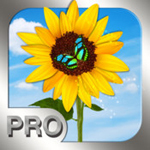 If you are, however, looking for a classic photo organizer, then Photo Manager Pro is probably your best choice. Photo Manager Pro allows you to store your photos in folders and sub-folders. Create as many folders and sub-folders as you like, add them an appropriate name, and start adding pictures. You can either take pictures or import them from your Photo Library. Select as many pictures as you wish to import, or tap on a single button to select them all. Add captions and rename your pictures to easily find them using the Search option. You can also arrange your pictures in every folder by date, name, type or file size. Share your pictures on Facebook, Twitter and Email, or export them to your Photo Library or iTunes. Add the pictures you like the most to Favorites. And keep all your pictures safe by locking them with a Master Passcode. Also, you can enjoy slide-shows of your pictures and add whatever background music you like from your Library. It's a classic. It's easy to use. It's effective. It's Photo Manager Pro. 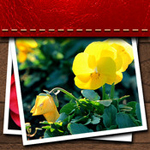 Please add my favorite app in to your photo album list that is Photos to Albums app. Slideshows provide entertainment to people whom you make them for. You could make slideshows for weddings and other special events for your family in friends.